Khuri is a small village in Rajasthan about 50 km south-west of Jaisalmer near the Pakistan border. It is famous for the secluded sand dunes of the Thar that can be reached from the village in 30 min on camels. Yet to make prominent mark on tourist map, Khuri is less crowded and provided more enjoyable experience. This is an ideal desert village untouched by the modernity. It is recommended to split your stay one night in the village and one night in the desert. 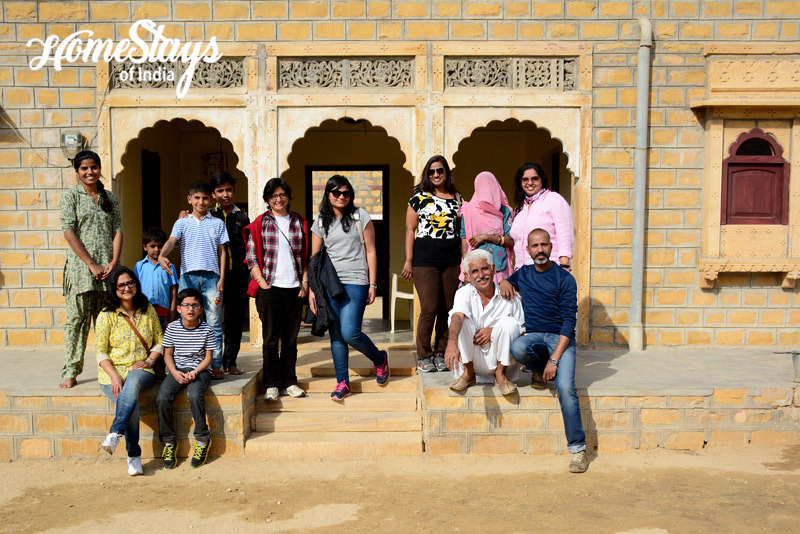 The homestay is located in heart of the village and is perfect if you are looking to explore and experience the village life in a desert. 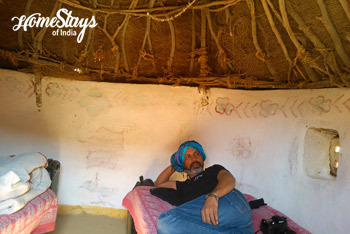 3 beautiful mud huts made in traditional way and a few rooms with attached bathroom provide comfortable stay in the local setting. The family members collectively take care of needs of the guests. 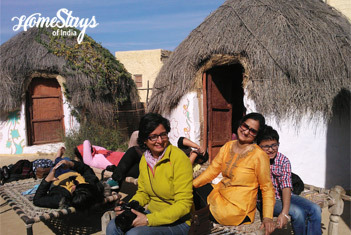 Traditional Rajasthani food is served that is all made in clay oven. 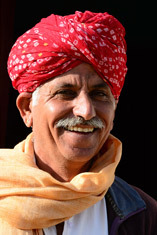 Badal, a wise village man, is incredibly gracious and hospitable. Badal’s family has been welcoming travelers to their compound for years. He loves his work and feels that he has been all over the world through the stories from the hundreds of travelers from all over the world who have stayed with his family. His wife, though a shy lady, is the person behind the delicious local food you will be treated to. Badal’s kitchen serves homemade traditional Veg. Rajasthani food that includes Bajre ki Roti, rice, local dal and vegetables. Having Bajre ki khichdi with Ghee (clarified butter) and Gur while basking on a Charpoy in the courtyard, is an experience not to be missed.